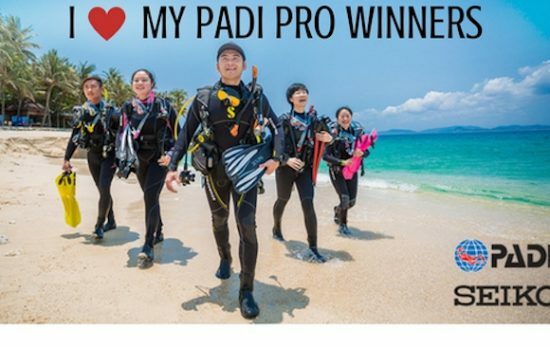 Disclaimer: The opinions of the author are her own and in no way reflect the opinions of PADI® or the dive shop affiliated with her. In case you’re scratching your head wondering what a tank monkey is, let me enlighten you. As part of your “internship” you’ll be helping haul scuba tanks (and other miscellaneous scuba gear) from dive shop to swimming pool and back again. This is of course only a small portion of the internship, but a substantial one nonetheless, and one that I am just about to argue is actually pretty valuable. So, if you’re not sure whether becoming a tank monkey (a divemaster candidate) is right for you, read on. Sorry avid crossfitters, but our ritual just has that added cool factor. I mean come on, we’re lifting potential torpedos, and we’re going to use them to breathe underwater. Can you get anymore James Bond? Joking aside, hauling tanks is a mega workout, especially when you’ve got a big class for the night. Thirty tanks in the instructor’s truck? No problem. P.S. : You can cry about the pain later. 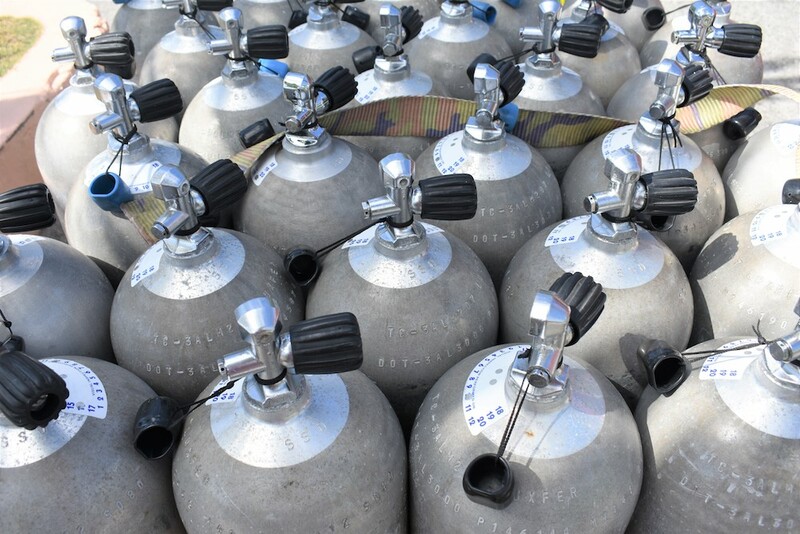 Before I started my Divemaster training I could point out exactly three tanks: an aluminum 63, an aluminum 80, and a steel 100. And, if you told me it was an aluminum 60 and not a 63, I probably would have agreed. Nowadays, I could dazzle you with my knowledge of scuba tanks. I could even tell you the pros and cons of using DIN and yoke valves, and I could tell you who should get the aluminum 80s in the confined pool sessions during training. Ah the beauty of scuba relationships. When you’re all as obsessed as the other, these can be some of the best (or worst) relationships of your life. Where previously you might have had a hard time finding like-minded adventurous souls, now you’re in the midst of them. Add to that an opportunity to rub shoulders with people outside of your usual circle, and you’ve just made life a lot more interesting: the criminal lawyer you hope you’ll never have to use, the particle physicist you’re still amazed you have something in common with, and the extreme wreck diver you’d only otherwise have read about. Unfortunately, because you’re involved in a sport brimful of people who think they’re pretty cool (ahem, they are, they’re divers), you’re also going to run into your fair share of egos. At least you’ll learn conflict management? During the internship portion of your Divemaster training, when you’re helping out at the pool, problems are going to arise and you’re going to need to solve them. That’s simply the nature of working with a wide variety of equipment and people. Ever had to tighten a tank strap underwater only to discover the strap was threaded incorrectly? Well, you’ll be the one fixing that while the instructor continues teaching. The other great thing about helping out with classes is that you’ll get exposure to different gear. This means you won’t just know how to rig an Aqualung Lotus BCD, but also a Seac Trip, and whatever else your dive shop uses. You may even master navigating one of the old Suunto dive computers. And no, I don’t’ mean for a fight. I mean for a weight belt, a wetsuit and a BCD. Before Divemaster Training (BDT, because it is that epic) I barely had my own buoyancy dialed in. During training, I’ve learned a lot more. I know who to hand 6 pound weight belts to, and I know a little more about fitting a BC. I could even help someone figure out whether a mask was a good or bad fit. This brings me to my next point. If you’re wondering whether Divemaster training is the right option for you, consider the fact that you’ll be spending a lot of time carefully watching other people get ready. You’ll also be fixing ill-configured, and perhaps even faulty gear. 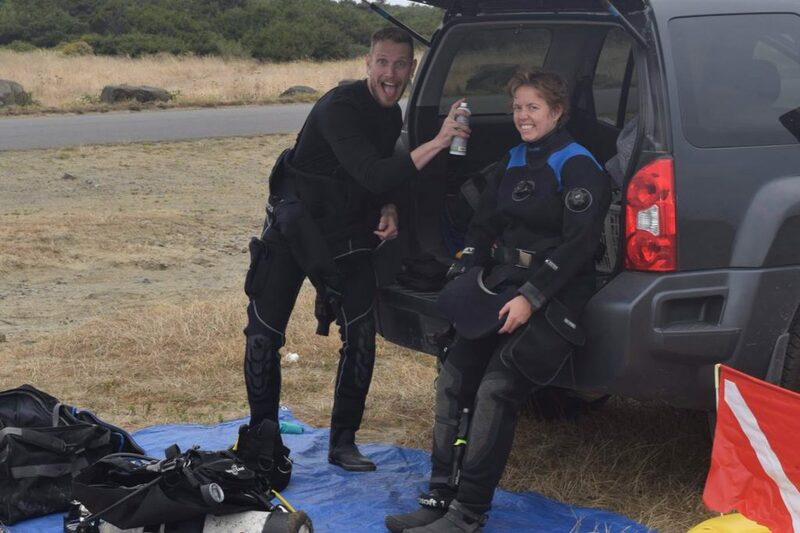 These duties, performed day in and day out, will heighten your awareness of your own mental state, your own dive gear, and that of your buddy’s. In turn, this will make you an asset, someone others want to dive with. After all, if something goes wrong underwater, you’ll probably be able to keep your calm and figure out how to solve it. Who doesn’t want to dive with that person? There’s nothing quite like having something go wrong forty feet down to whip you into shape. 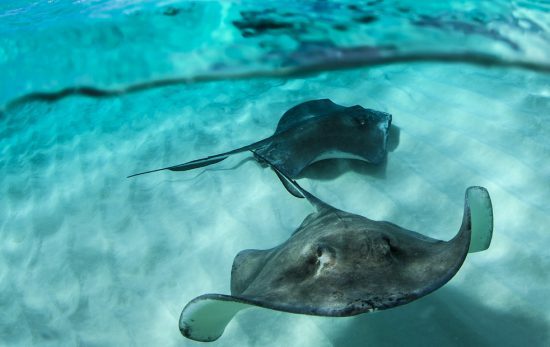 You’ll learn how to put someone’s fin back on, how to keep a student calm when visibility is limited (use a flashlight and point out all the cool marine life), and how to adjust your dive skill demonstrations to suit someone who doesn’t seem to be getting it. 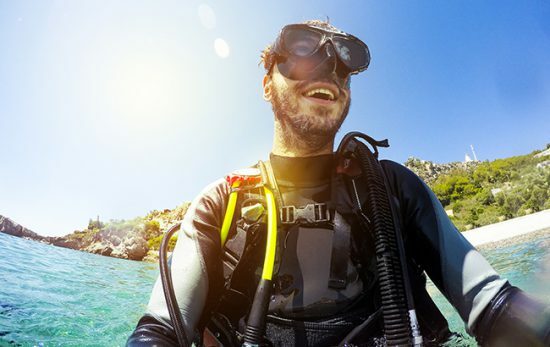 Additionally, having a number of opportunities to watch other instructors and Divemasters solve problems will give you a huge heads-up on solving those same problems when you encounter them. Okay, maybe that’s only if you’ve got wicked cool instructors working for your dive shop, but chances are you’re still going to hear a good many tales, plenty of which will be hairy. Scuba divers are risk takers after all (go argue that point with your life insurance company, not me). When the instructors and Divemasters you train with have been diving since the dawn of diving time, the stories they can tell will include everything from juicy town hall gossip right through near-death experiences, and cool wreck dives in Chuuk Lagoon. You may even be invited to join in on an adventure if you play your cards right. 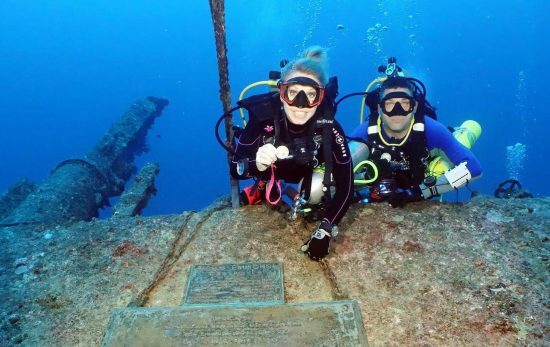 Yet another good reason to become a Divemaster is the experience you’ll get learning to read a dive site, especially if you dive the ocean, or as we do in Oregon, the jetties. Just because the visibility looks bad at the surface, doesn’t mean it won’t clear out to a whopping 8 feet below. And no, when you dive in the Pacific Northwest, that’s not sarcasm. And, just because the tidal exchange is low, doesn’t mean the surge won’t make the site un-diveable. There are many lessons to be learned here. Of course, I’d never recommend drinking and diving, but when all things are said and done, at the end of a long weekend helping certify Open Water students, you’ll make mincemeat of a gin and tonic, and a whopping fry up. Plus, it’s guilt-free. Sort of. You did do all that tank hauling. Plus the swimming was essentially resistance training. When all is said and done and your nightly tally of tanks moved is somewhere around sixty, you’ll be the envy of your partner. When your head touches the pillow, lights out or not, you’ll be far away in dreamland. Ready to become a tank monkey? There’s no wrong reason to become a PADI Divemaster because the skills you learn taking the course will make you a safer and more attentive diver all-around. And, the more you know, the more you know.